Ford's Super Duty F-250 pickup no longer looks like the F-150. Completely redesigned and re-engineered for 1999, the Super Duty F-250--and the rest of the new Super Duty F-Series pickups--now look like real trucks. Their menacing square-jawed front ends, brawny-looking raised hoods and aggressive headlamps are a big tip-off that there are significant differences underneath. 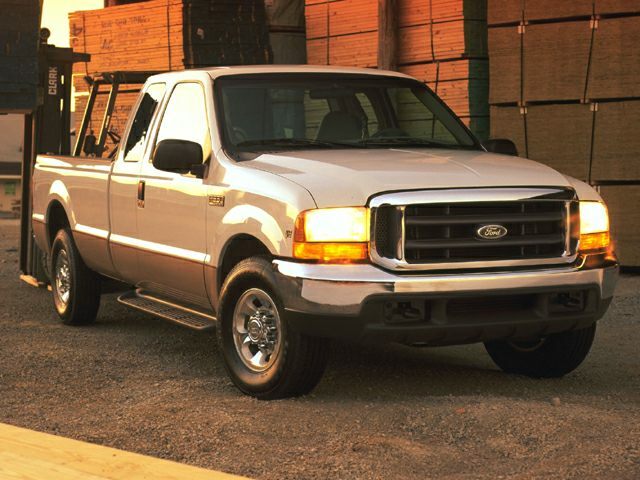 In fact, the Super Duty F-Series trucks ride on an entirely different platform from the regular F-150 and F-250 models. The new Ford Super Duty F-250, which replaces the previous F-250HD, should not be confused with Ford's lighter duty F-250, which shares the F-150's aerodynamic body and chassis. Ford's new Super Duty F-250 boasts significant improvements its predecessor. A roomier, more comfortable interior makes long hauls more bearable. A better suspension, better brakes and a choice of more powerful engines make it a joy to drive. Greater capacities make all of the Super Duty F-Series trucks able to carry heavier loads and pull heavier trailers. Until recently, heavy-duty trucks--three-quarter- and one-ton models--were work vehicles. While many still haul hay, pull horse trailers, work construction sites and are modified for all sorts of duties, more and more heavy-duty trucks are used for recreation. Recognizing this, Ford has redesigned its Super Duty trucks with a slew of thoughtful features to make them more enjoyable for ferrying families. But working stiffs haven't been forgotten. More than 44 different configurations are available and we checked out a fair sample of them when the Super Duty F-Series line was launched. But we focused on a $27,045 Super Duty F-250 4x4 SuperCab 4-door in Lariat trim with the optional $970 automatic transmission for a total of $28,015. The Super Duty F-250 competes with the other heavyweights from Detroit: the Dodge Ram 2500 and Chevrolet/GMC C/K 2500--which will soon be available as the all-new Chevrolet Silverado and GMC Sierra.